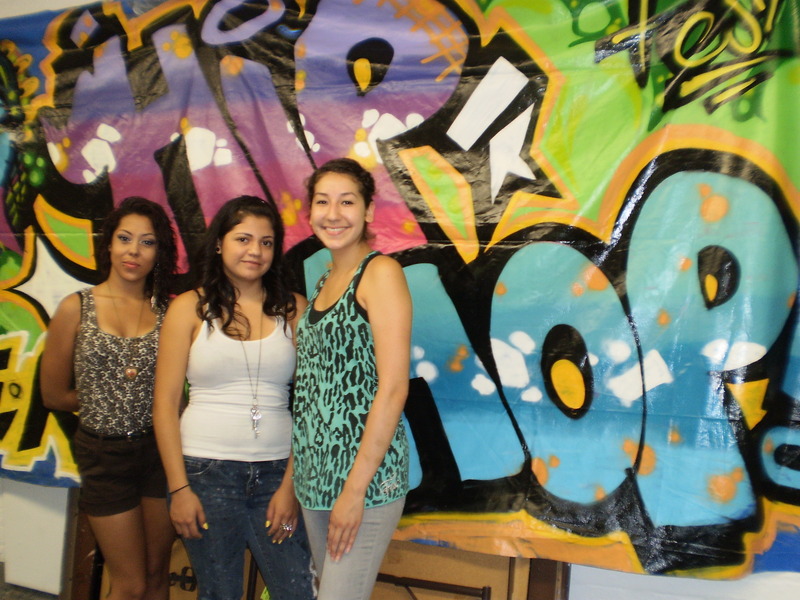 First, the disclosure: Proyecto Latina’s Irasema Gonzalez and Thelma Uranga are employed at Pros Arts Studio—the community arts organization that sponsors the annual We Are Hip-Hop Festival. Now, I want to tell you about their colleague Delilah Salgado, the teaching artist that led the first youth organized hip-hop festival in Pilsen. She has returned to this project each summer because it has given her the opportunity to inspire students to create art and mentor youth so that they can get the guidance they need to make better choices. This summer teens working on the 6th Annual We Are Hip-Hop Festival continue to gain invaluable skills in event planning, marketing, promotions and music management. The festival showcases local musicians, artists, break-dancers, and poets in the Pilsen and Little Village community to promote the positive aspects of the Hip-Hop culture. The festival is a program of Pros Arts Studio in residence at Dvorak Park. This year a second instructor, Lizette Garza, a third year Columbia College students majoring in music management, was brought on board to teach the Promo Pros interns. In this After School Matters summer program a dedicated team of teens learn and apply lessons in marketing, branding and promotions for the We Are Hip-Hop Festival. “The youth are able to come together to put on this festival and see the difference they make by collaborating with each other,” says Lizette Garza. The festival aims to empower youth to put together this event and spotlight their talents by keeping them busy and off the streets. This year the festival will create a safe space that includes music, break-dancing, and graffiti battles. The festival put on by the youth will bring different types of hip-hop together to promote peace in a neighborhood where violence is an issue. Laura Najera, 17, a returning high school student is taking advantage of this summer program. She says, “It’s a fun experience and gets kids off the street. Being part of this program has shown me how to talk, to ask for donations from sponsors, and be professional. I will be able to add these skills to my resume when I start looking for a job”. Elizabeth is the only female singer in her hip-hop group and it can be challenging. “The music isn’t what it used to be; now it’s about girls and how they look and a lot of guys talk bad about girls,” says Elizabeth. She likes to respond to these issues and “stick up for women and set them straight” through her music. The festival aims to spotlight Chicago hip-hop artists and Elizabeth hopes to show off her talents, “I want to put my music out there hopefully someone who hears my music says I like that and give me more opportunities to make it bigger in the music industry. At this year’s festival Delilah, also a graffiti artist envisions working with other organizations and increasing youth participation and connecting them with a more diverse hip-hop scene in Chicago showcasing emerging and established hip-hop artists at the festival.